Automated energy management software from BuildingIQ cuts energy use by 12 percent in one casino, and is expected to slash energy use in other casinos by 12 percent to 18 percent, says Pete Dickinson, CTO of BuildingIQ in a podcast interview. The software, provided to NV Energy, the utility that supplies energy to the city of Las Vegas, provides both energy efficiency and demand response. The automated system responds to pricing, weather conditions, market conditions, and comfort levels. The software yields immediate cash flow, he says. Users are seeing $1.50 to $3 in savings for every $1 they spend on the software. Utilize these moments using comfort and generally accept them using fantastic pride, afterall, you’ve warranted it. 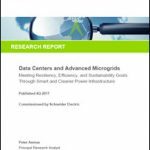 You’ve decided a microgrid may be a viable solution to meet your needs, and suddenly, there’s a litany of questions to answer. POWER Engineers’ Greg Clark, highlights three crucial elements to consider when microgrid planning and early development, including environmental considerations, regulatory issues and technical feasibility.